Let’s start at the very beginning…January’s featured Nebraska Fiber Artist… One Twisted Tree! So to start this year off and journey of learning more about the state I now call home, Nebraska through fiber artist, I’d like to introduce you to #onetwistedtreeyarn & the talented @prairiegirldanie! I have chosen 3 of her lavish super washed merino sport/dk weight yarn & will be knitting a wintery inspired shawl. I started working away on a #quietjourneyshawl changing up the original design a bit by adding my own 3 color-ways fade. This yarn is so squish and amazing to work with! I love how each other blends so seamlessly into the other. The slip stitch pattern if fun too. Creating such a beautiful texture! This pretty project took me 4 weeks to complete. I casted on on January 4th and off on January 31st. So there you have it my first Featured Nebraska Fiber Artist project using fiber from the amazing Danie of One Twisted Tree! I wanted to create a shawl that felt like winter with soft grays and icy blues! Her Lavish 100% super wash merino 8 ply was beyond beautiful and so perfect!! I am also a huge Jane Eyre fan so when I saw that color it was a must have! I picked the Quiet Journey Shawl by Lisa Hannes (which can be found and purchased over on Ravelry) because of the easy but fun pattern and thought it would be amazing as a 3 color fade! I chose to do a 2 row repeat for the fade parts. Each color danced so well into each other and I was throughly overjoyed with how it all turned out! 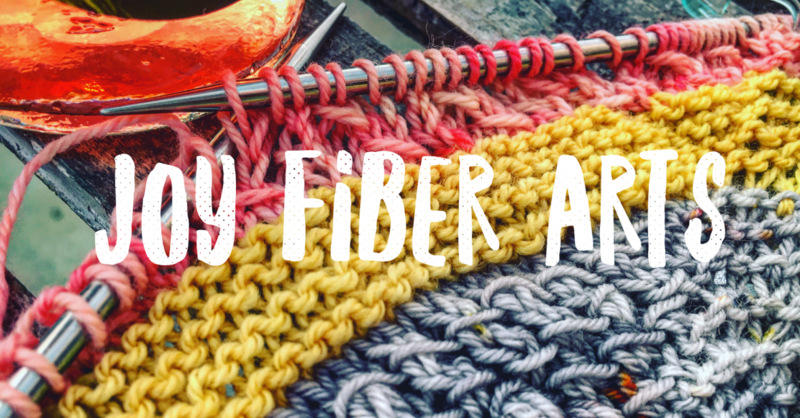 More to come on Danie and her beautiful fibers from Omaha Nebraska here soon!